One of those quiet, still Perth evenings when the Western sky out over the Indian Ocean is dirty golden brown as the bushfire smoke from down south filters the sun. Kadina Brook in the *Bushmead Rifle Range still had water running through it before drying up for the summer. 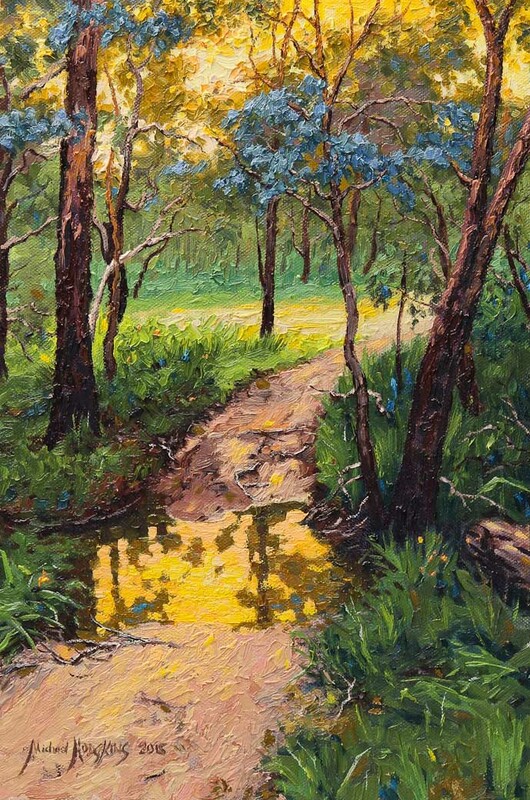 As I approached it, the smooth water flowing over the track shone gold with the reflected late afternoon sky. Now there was a painting subject waiting for someone to come along and claim it!